Recertification classes for Kentucky electrical, plumbing and HVAC professionals have been scheduled for 2019 at ACTC’s Roberts Drive Campus. Green Energy and Business Practices is approved for Kentucky Electrical Contractors and HVAC Journeymen and Masters, electrical contractors and plumbers. Instructor Mike Bond will cover topics such as green energy trends, techniques and tips. The class gives eight continuing education hours. Analysis of National Electrical Code (NEC) Upgrades is approved for Kentucky master electricians and electricians. Instructor Harold Henry will cover updates to the National Electrical Code. The class gives six continuing education hours. 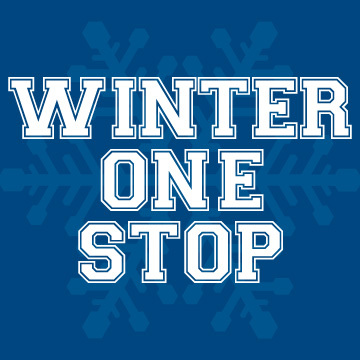 Each class will be available at 8 a.m. at the Roberts Drive Campus on the following dates: Jan. 19, Feb. 23, April 20, June 1, Aug. 17, Oct. 19 and Nov. 9. Each class is $89, and enrollment is through ACTC Workforce Solutions, 606-326-2072, or email as_workforce@kctcs.edu. ACTC is once again offering child care provider trainings. The cost is $15 per person per class. Fee must be paid at the time of registration. Each three-hour class is taught by an ECE TRIS certified instructor and will be submitted to ECE TRIS for Child Care Provider Training hours. All classes will be at ACTC’s Roberts Drive Campus located at 4700 Roberts Drive, Building 5, Ashland. Upcoming classes are: • Active Supervision: Jan. 19, 9 a.m.-noon — Distraction happens in the classroom, but do you know how to handle it? This class will define active supervision, identify elements and peak times for distractions and identify key elements to active supervision. This class is designed for all staff. • Make and Take Math: Feb. 23, 9 a.m.-noon — During this workshop, participants will gain resources and design wats to set up a hands-on math center in their classroom learning environment. Participants will discover ways to gain knowledge of their students’ developing math skills through play and help plan math across their curriculum and throughout the classroom. Students at Blaine and Louisa middle schools got a special visit from Kentucky Lt. Gov. 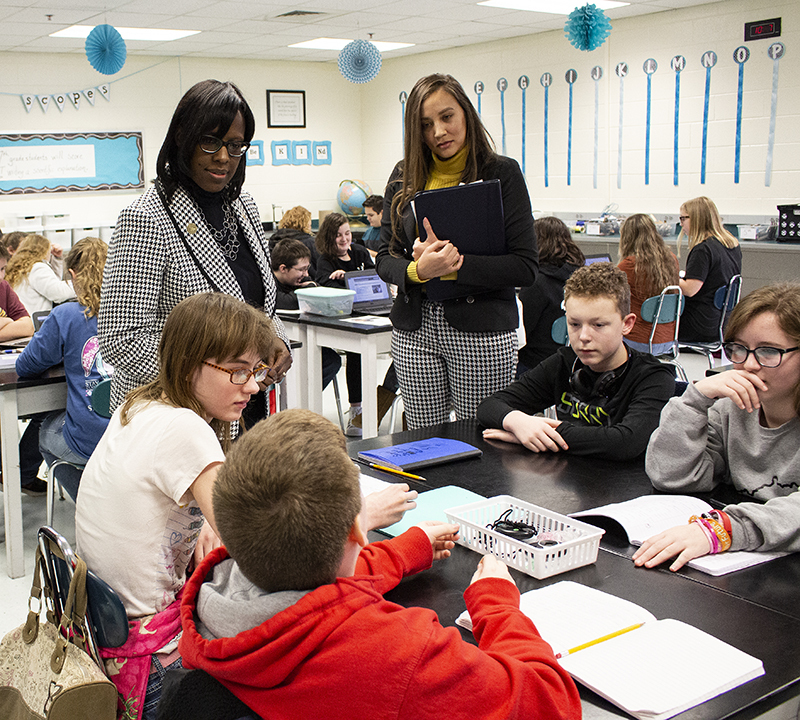 Jenean Hampton as she toured several classrooms to see first-hand how students are engaging in STEM fields. Thanks to an $815,000 multi-year American Electric Power Foundation Credits Count grant that is funding efforts to boost science, technology, engineering and math (STEM) education in Lawrence County Schools, administration and faculty say students are being exposed to career paths they may not have ever learned about otherwise. For women interested in a less traditional line of work, line work could actually be the right fit. Kentucky Power recently established the Kentucky Lineman Scholarship at Ashland Community and Technical College, and while “lineman” is in the title, the new scholarship is geared toward women and minorities who want to enter the technical field. The scholarship fund was established with an initial gift of $1,500 from Kentucky Power. The scholarship will be awarded to female or minority students who are enrolled in ACTC’s new Workforce Solutions lineman program, which will begin enrolling students this spring for the course that begins in mid-March. Applicants to the scholarship must also include a one-page essay as to why they want to become a line person. To apply for the scholarship, students should complete ACTC’s general scholarship application, which can be found at ashland.kctcs.edu/affording-college. “Line work historically has been dominated predominately by white men. But just as our military has opened up more roles for women and minorities, utilities across the country also are looking to diversify their workforce to better represent the communities we serve,” said Everett Phillips, managing director of Distribution Region Operations. “At Kentucky Power, we are committed to fostering an inclusive business environment and see this scholarship as one way we can attract more women and minorities to our industry. While line work is still a physically challenging job, modernization has diminished the physical demands of the day-to-day work. Some 25 years ago, where a job may have called for a five-person crew, bucket trucks and other tools now allow that same job to be completed by a two-person team.” For more information on the lineman program, contact Workforce Solutions at as_workforce@kctcs.edu. Thanks to an anonymous donor, all funds raised by Ashland Community and Technical College's Foundation on Giving Tuesday will be generously matched. Giving Tuesday is a global day of giving fueled by the power of social media and collaboration. Celebrated on the Tuesday following Thanksgiving (in the U.S.) and the widely recognized shopping events Black Friday, Small Business Saturday and Cyber Monday, Giving Tuesday kicks off the charitable season, when many focus on their holiday and end-of-year giving. What better gift than supporting education? “An investment in our college helps us better serve our students and community,” said Brooke Seasor, director of resource development at ACTC. “Every donation big or small makes a difference in the lives of our students.” A donation to Ashland Community and Technical College's Foundation is an investment in the lives of students, businesses and our communities who benefit from the education, training and other services we offer. You can even choose the fund that you want to support. One hundred percent of your gift will be used in the way that you designate: equipment and supplies for skilled trades programs, student emergency fund, president’s discretionary fund, Greatest Needs Fund, scholarship fund, or in memory or honor of someone. Every contribution large or small makes a real, tangible difference in the lives of our students. Make your gift on Tuesday, Nov. 27 by visiting our online giving page at bit.ly/actcgivingtuesday or calling 606-326-2092. The foundation can accept credit cards, checks, donations in person or by phone. For anyone wanting to make a donation in person, cookies and assistance will be provided from 8 a.m.-4:30 p.m. Tuesday in room L-266 at the College Drive Campus. ACTC Chi Epsilon Honor Society is hosting its second annual children’s musical talent show to benefit area youth on Saturday, Dec. 8 in the J.B. Sowards Theatre at the College Drive Campus. Carols for a Cause will be from 6-8 p.m. and a portion of the evening’s proceeds will benefit Hopes and Dreams, a local organization focused on helping children with special needs. The competition is open to students or groups of students in grades 3-12 to perform vocal or instrumental seasonal and holiday music. Registration is $15 per individual or group and the first 20 registrations will be scheduled to perform. Others will be placed on a wait list and refunded if they do not get to perform. Registration deadline is Nov. 26. First place will receive $100; second place will receive $75; third place will receive $50. All audience participants will receive one voting ballot. The ballot will ask for the top three acts (regardless of age, performance type, or individual or group). Only ballots with three votes will be counted. Ballots will be collected and tabulated at the conclusion of all acts. Ties will be awarded an equal prize amount, but only 3 total monetary awards will be given. Tickets to view the competition are $2 and the sale starts at 4:30 p.m. the day of the competition. Advance ticket sales (maximum of 10) is available for each paid participant/registrant. No refunds are available on advance ticket sales. Concessions will also be available for purchase by cash or check only. A donation box will also be available for additional cash donations, which will be given directly to Hopes and Dreams. There will be an intermission half-way through the competition and at the end before the winners are announcement. At intermission, the children who participated in the first portion will be available to join their families in the audience. The children who perform in the second half will need to report to the art room. Full-time ACTC staff will be stationed in the room where children will be waiting to enter the stage (art room on first floor). Crayons, coloring pages, games, etc. will be provided to help entertain the younger children. They should leave any valuable possessions with parents or guardians. If a parent or guardian would like to sit with a participant they are welcome to do so. There will be an open rehearsal in the theater from 4-8 p.m. Friday, Dec. 7. The day of the competition, check-in and sound check will be from 4-5 p.m. To register or for more information about competition rules, contact Michelle Gollihue at 606-326-2045 or michelle.gollihue@kctcs.edu.